TTo most Americans, table tennis is a minor Olympic sport, shown on late-night TV coverage of the Olympic Games, if at all. 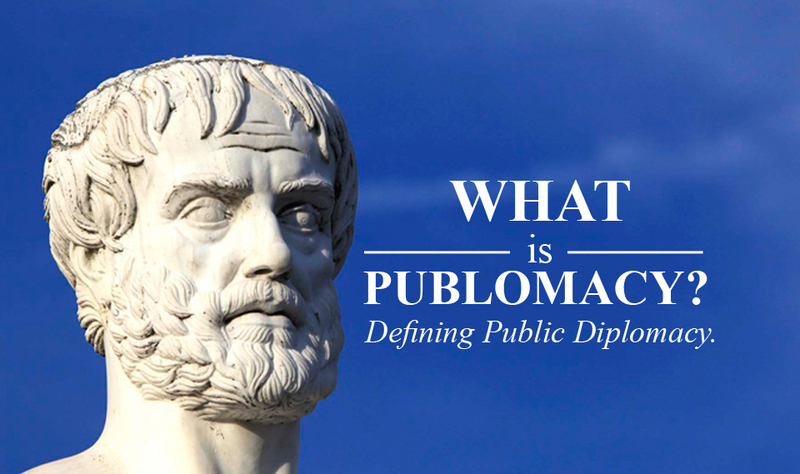 But it is this sport that is credited with warming American diplomatic relations with “Red China”-the first step in opening a country that was diplomatically cut off from the West when Mao Zedong declared it the Peoples’ Republic of China in 1949. 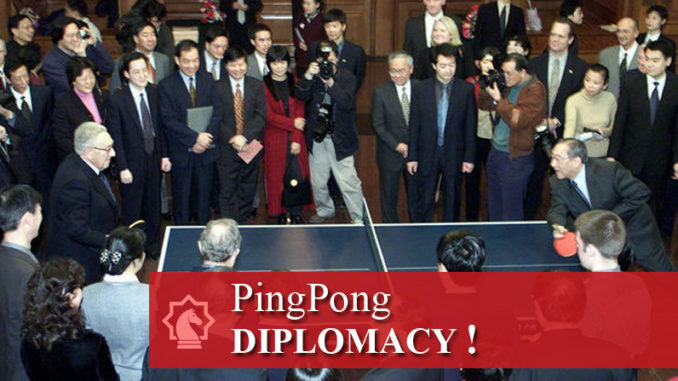 Ping Pong Diplomacy, as the press dubbed it, first played its key role in 1971. At the 31st World Table Tennis Championships, held that year in Nagoya, Japan, an American table tennis player hitched a ride on the Chinese team bus. Two days later, the Chinese government invited the entire American table tennis team to visit China immediately after Worlds. The table tennis players-literally and figuratively-started the ball rolling. 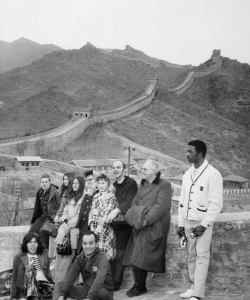 Ten months later, in February 1972, Nixon paid his historic visit to China. Thirty years later, International Olympic Committee members overwhelmingly voted for Beijing to the host of the 2008 Olympics. “The idea that the global games of the Olympics can now be held in Beijing is a result of the normalization of China’s relations with the world,” says Sandy Quinn, assistant director of the Richard Nixon Library & Birthplace Foundation, which is hosting “American/Chinese Ping Pong Diplomacy: The Rematch” on June 10-12, 2008. “Just about everyone knew about Ping Pong Diplomacy, but not very many people knew how it all came about,” says George Braithwaite, then a 37-year-old table tennis player with dual citizenship in the U.S. and Guyana who used vacation time from his job at the United Nations to play for the U.S. at the 1971 World Championships. It all began outside a table tennis practice hall in Nagoya, says Tim Boggan, another of the American players on the 1971 team and now a noted table tennis historian. On April 4, with the 31st World Table Tennis Championships about to end, a 19-year-old Californian named Glenn Cowan was too busy practicing table tennis to realize that his team bus had left. Only the Chinese bus remained at the curb. So Cowan jumped on. The Chinese team was attending the World Championships for the first time in six years, and the month prior to Worlds, the president of the International Table Tennis Federation, a Welshman named H. Roy Evans, had stopped in Beijing on his way to Nagoya. 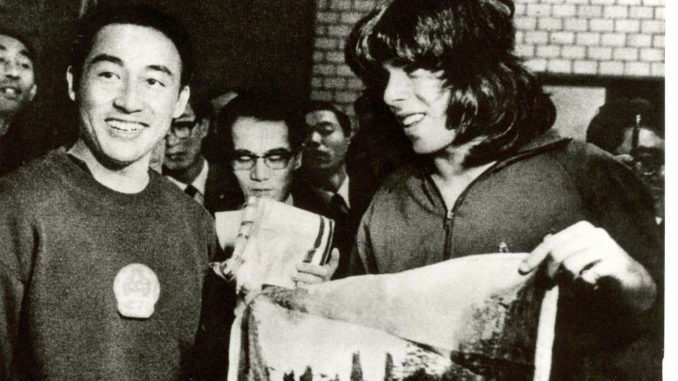 While there, Evans met with Prime Minister Chou En-lai, who “expressed great pleasure at China’s re-entry into World Table Tennis, and talked of further steps they could take to re-establish themselves quickly,” wrote Evans in the forward to Boggan’s book, The History of U.S. Table Tennis, Vol. V.
Back on the bus, the leader of the Chinese team, former world champion Zhuang Zedong, said-in a talk at the U.S.-China Institute at the University of Southern California last September-that he debated for several minutes whether or not to approach the American. Even though the Chinese team leader had warned them to avoid American “imperialists,” the Zhuang Zedong looked in his bag and found a piece of silk embroidery. He walked to the front of the bus and presented it to Cowan. Cowan had nothing to give Zhuang Zedong in return (although the next day he presented the Chinese table tennis player with a red, white, and blue t-shirt emblazoned with the words “Let It Be”). But when they got off the bus, journalists who were following the Chinese team took photos of Zhuang Zedong, Cowan and the gift. News of the encounter reached the Chinese government and after much debate, Mao told his prime minister to invite the U.S. table tennis team to China for a weeklong tour of the country and exhibition tournaments with the Chinese team. Braithwaite says he was naïve and first saw it mainly as a way to improve his game. Not until the team reached Hong Kong, where they entered China, did it dawn on him that this trip would have historic ramifications. Years later, Braithwaite learned from Henry Kissinger that Washington held its breath as this team of “ping pong players” made the first official visit to China in over two decades. It was in 1997, at the 25th anniversary of a reciprocal visit by the Chinese table tennis team to the U.S., that Kissinger made a speech. Now, with the Olympics just months away, the Richard Nixon Library & Birthplace Foundation is presenting another reunion of the pivotal 1971 and 1972 matches where sport prevailed over politics. Former American Olympians Tawny Banh, Khoa Nguyen, and Mark Hazinski will complete the American table tennis delegation. Representing China are three former world champions,:Qiao Yunping, Zhang Lei, Son Shichao. Due to training and competition schedules, no 2008 Olympians are able to attend. And it will look toward the Beijing Olympics, which had its beginnings on a bus full of table tennis players. 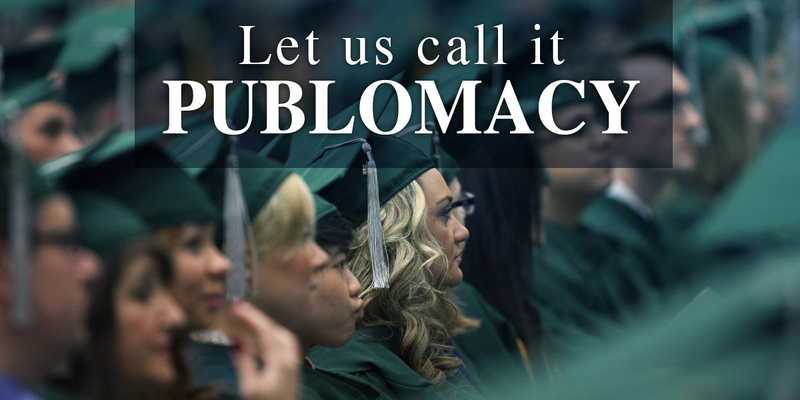 Share the post "From Ping Pong Diplomacy to the Beijing Games | Editors Choice"